Congrats! You are such a super blogger, always happy and providing great recipes. I am proud to know you and appreciate what you do! And those brownies look wonderful. It must be brownie night in blogland lots of great brownies to make, yum. Congratulations! And, thank you for my award. I really appreciate it. I love brownies and yours look wonderful! These Rocky Road Brownie are awsome. Love the way you put colored marshmellows on top to make it more colorful, totally lovely. Congratulations on your award and THANK YOU for selecting my blog to receive this wonderful award. :) Have a wonderful day. OMG that looks divine..wish i can have a slice. Congratz on the award! This looks heavenly delicious, love the brownies. Heavenly you say, i agree, it really does look heavenly! Congratulations and thahk´s for my blog´s award.I´am very happy and i will keep it ,with great care. It looks delicious and beautiful, lovely photos! Brownies looks damn pretty and irresistible..congrats on ur award..
Congratulations and thanks for the award! I'm very happy to receive the award from you! I love your Rocky Road Brownie, it makes me think of my days in Melbourne. Your brownies look gooey and chocolatey and delicious Joy! Congrats on your award! Congrats on your awards! Definitely well deserved. Your brownie looks decadent! You are right...almost everyone loves brownies. I will have to make a pan this weekend for a church gathering. How fun, congrats on the nice award. Thank you so much for thinking of me and passing on the love. i think my comments did go thru just now..my internet seemed to hang awhile ago. Congrats on another well deserved award!! very nice looking brownies and i think the marshmallows made a beautiful topping! sorry to confuse you, what i meant was my comments didnt go thru earlier.. There is nothing better than a gooey brownie! Congratulations on your award! Those Brownies look yummy delicious! 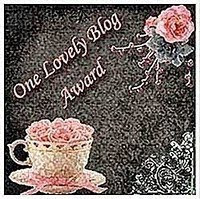 Thank you so much for the blog award...you are a sweetie! Congrats on your awards! Your brownies look so good. I know I'd enjoy every gooey little bite. Thank you for the award, it's greatly appreciated :D)!! Felicitaciones por tu premio ,te lo mereces mucho,me encanta tu cocina y te agrdezco mucho me hayas nombrado,muchas gracias y muy gentil de tu parte,abrazos y cariños. Los brownies se ven estupendos,trate de hacerlo hoy,quedaron muy ricos,pero no lindos como los tuyos,ensayaré más,abrazos. These look like such a wonderful treat! I love rocky road so much. Thank you so much for all your wishes and your sweet comments! I really appreciate your support. Thank you! Thank you for the awards, you are very kind. Thanks very much for the lovely award. Really appreciate it very much :D I love your brownies. Brownies are always my favourite...anytime...mmm.